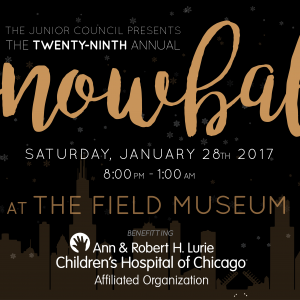 Snowball is Chicago’s premier black tie event, hosted by the Junior Council, an affiliated organization of the Ann & Robert H. Lurie Children’s Hospital of Chicago. 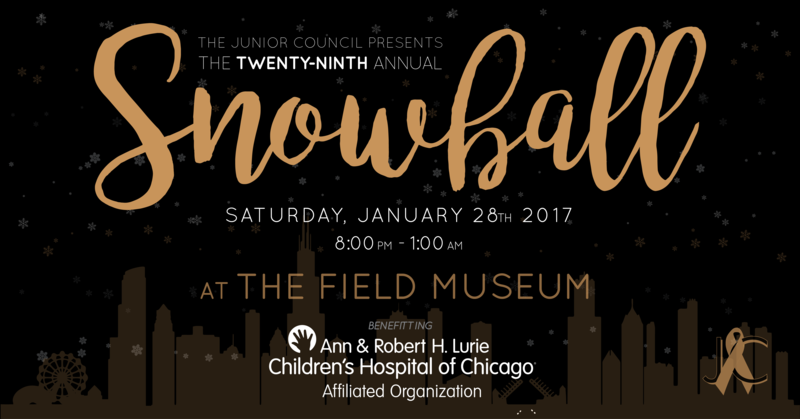 Snowball 2017, set for January 28, 2017 from 8pm – 1am at The Field Museum marks our 29th year! Tickets include entry, open bar and access to tastings from 20+ of Chicago’s top restaurants. All proceeds benefit the Lurie Children’s Hospital. Please reach out to our Snowball Chair, Kelly Clark (jcsnowball@gmail.com) if you have any questions!